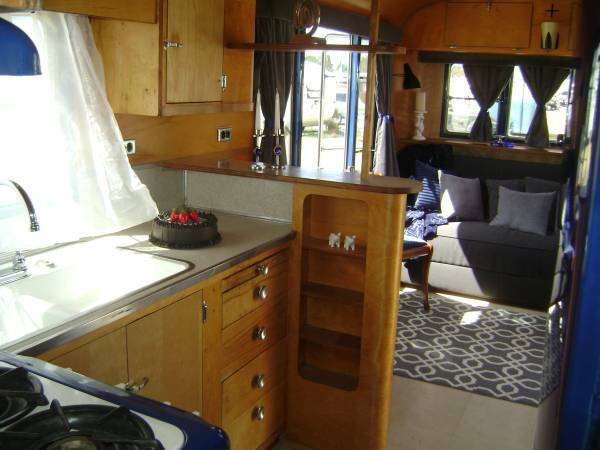 This 1953 Vagabond Trailer Model 31has been making a stir within the vintage mobile home groups for good reason, it is gorgeous! 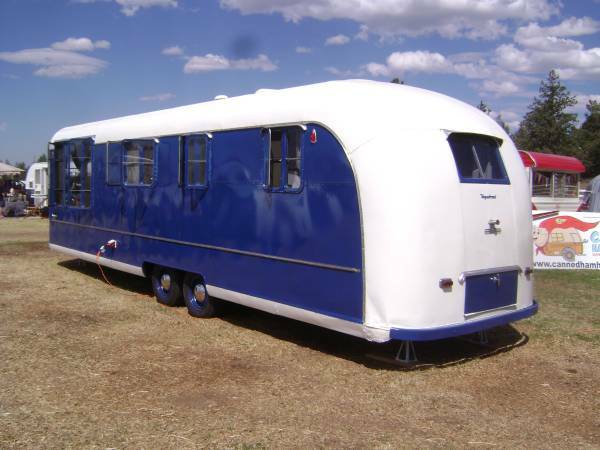 Vagabond Coach Manufacturing Company hailed from New Hudson, Michigan.They built homes that were considered the Cadillac of trailers and were known for high-quality construction using welded steel frames and aluminum bodies, much like the beloved Spartan Mobile Homes. The exterior paint is all new 2 tone base coat, clear coat automotive paint. All windows have been removed , resealed and re installed. The Vagabond frame is all steel , so no need to ever worry about wood framed walls. This is one of the highest quality trailers ever built . All woodwork has been completely striped and refinished by one of the nations top finishing companies. All cabinets are original and fully refinished. The original click clack couch has been fully restored, the original table and 2 chairs have also been refinished by hand back to original. All appliances are original and have been fully refurbished and repainted. All lights are original art deco style lights and are fully functional. Includes all new curtains also. 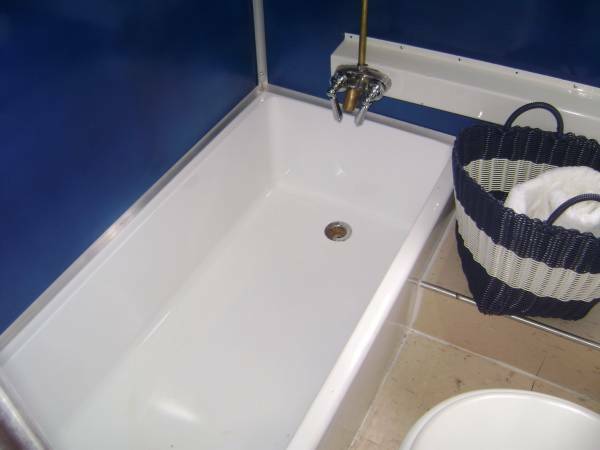 Full bath with tub and shower has been completely restored and repainted back to original. New period correct flooring thru out. 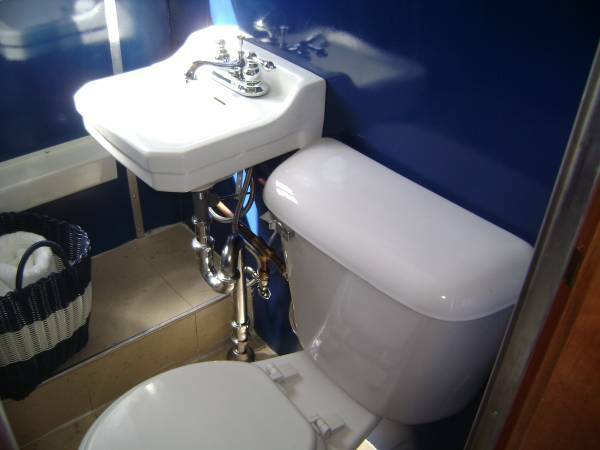 Trailers of this quality and style are getting very hard to find, and in this original refurbished condition, they are impossible to find. These trailers are going up in value every day. They are a piece of American history that time forgot until the recent revival, and are now in very high demand. 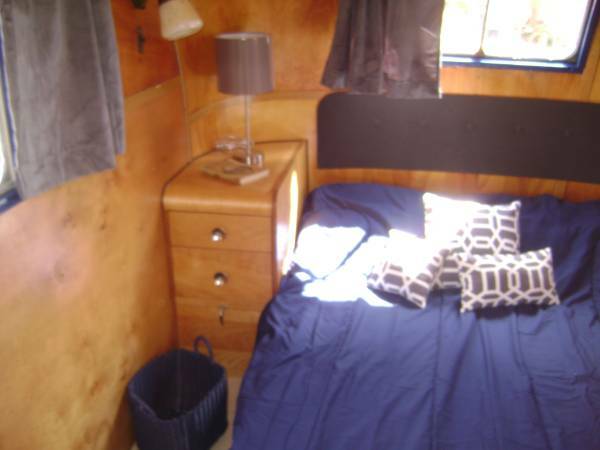 This is your chance to have the coolest guest house ever!!!! 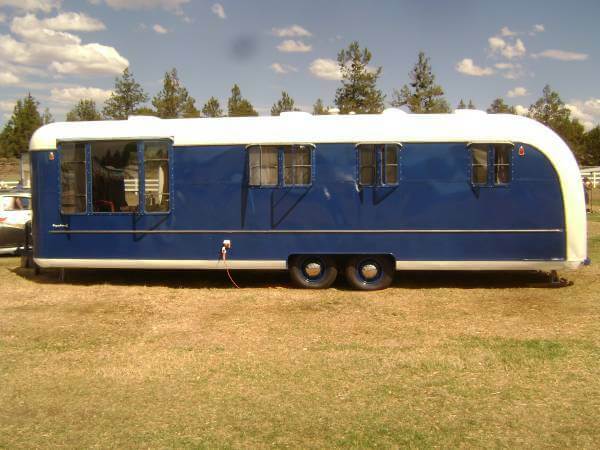 You can buy this Vagabond for $55,500. 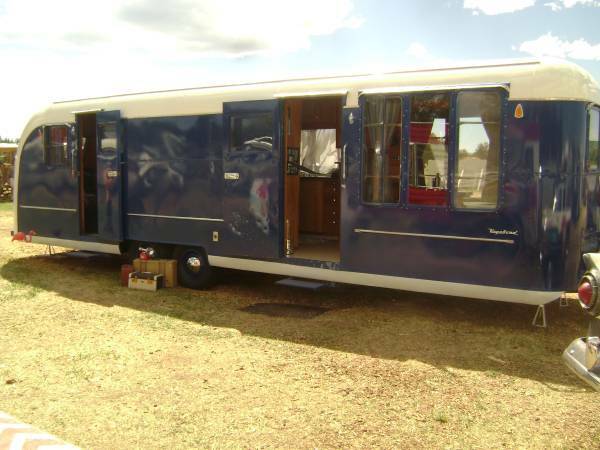 This vintage 1953 Vagabond trailer is a beautiful example of the wonderful workmanship and American pride that went into building these trailers. They are standing the test of time with careful restorations and passionate owners that ensure their timeless beauty continues. Thank you for reading Mobile and Manufactured Home Living! Hi Marianne (aka one lucky lady)! You don’t see too many Vagabonds these days (even at the rally’s they are fairly rare). You may have an Airbnb goldmine on your hands! You will probably have a hard time finding much more than brochures and single page ads. There are tons of ads floating around on Google Search. 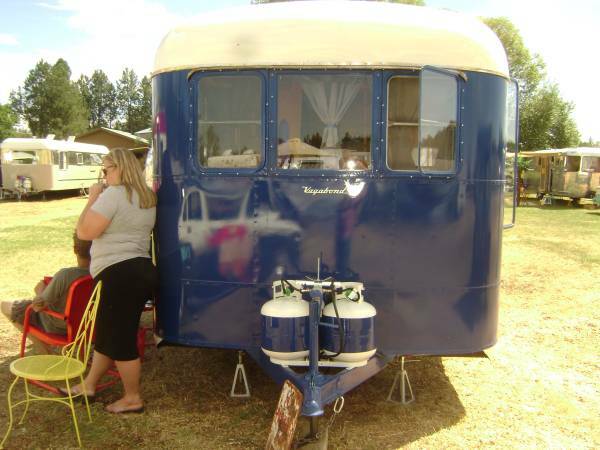 You will definitely want to join a few of the vintage trailer groups on Facebook, that’s where the true experts hang out and they are pretty good about helping newbies understand what they have and how to best restore it. 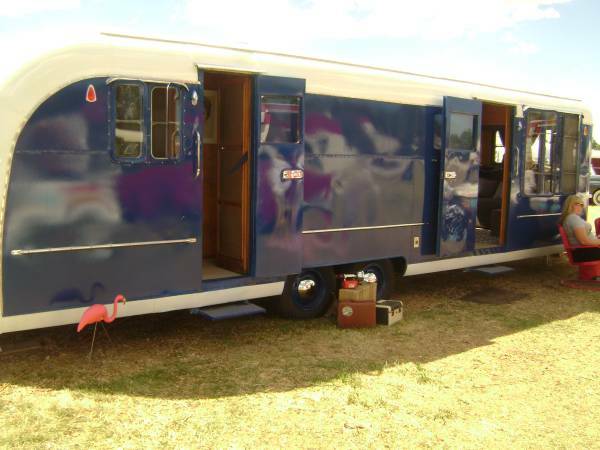 Just search vintage trailer or Vagabond Trailer on Facebook and you’ll find them. I’d love to feature it someday so please take lots of pics! Thank you and best of luck! 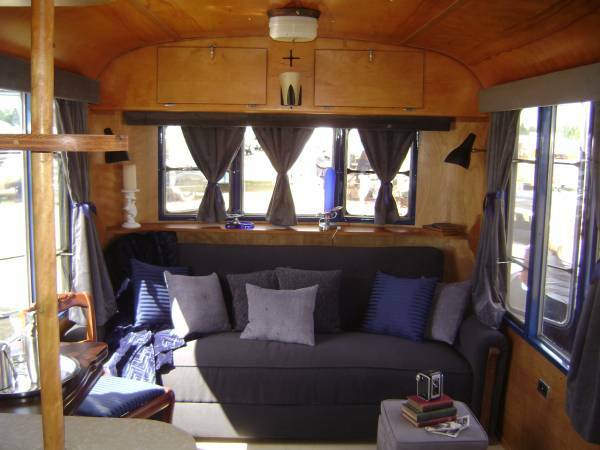 I have a1941 vagabond 18 feet you trailer is cool don’t sale it. I have a 1953 Vagabond that needs to be rebuild/restored. Any idea where I can get my hands on the original plans? I’d like to go back as original as I can. 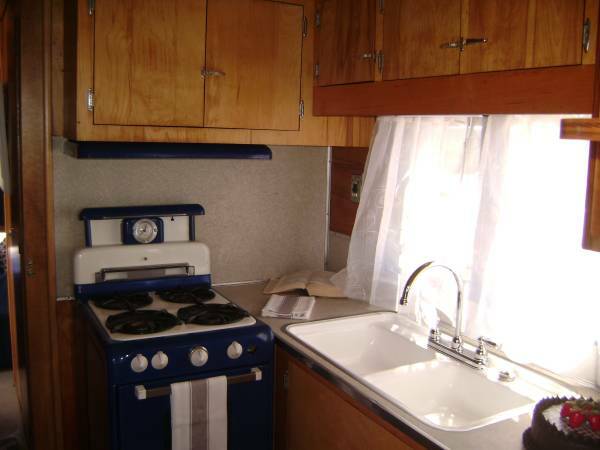 You may get lucky in one of the vintage mobile home forums on Tin Can Tourist or one of the Facebook groups for vintage trailers and mobile homes. Best of luck! Please take lots of photos of the process – I’d love to share it someday! When did Vagabond go gout of business? 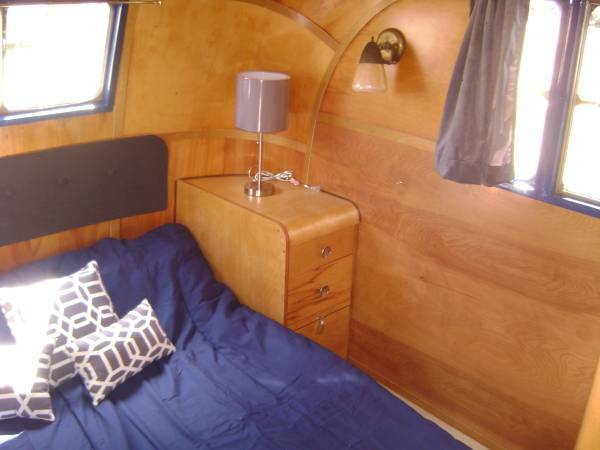 I have a 1949 or 1950 Vagabond 35ft. Made a deal with the farmer who owned it for a small sum. It had sunk into a pasture and had to be pulled out with a large backhoe. It is in poor shape but it is 90% original. I put some loaner tires, rims and a towing light set on it, pumped the wheel bearings full of grease and towed it down some winding county roads to my farm. The trailer towed like a dream. The frame is indeed steel and Vagabond had one of the first thermostat regulated central heaters. The outer panels are fastened to the frame with flat head screws. The birch wood interior is a mess because the seams leak and the systems all need restoration but to me it is a treasure. One can only marvel at the genius and quality that went into products of that era. It was made by Americans for Americans. Thank You, Mrs Adkins for this site; it brings back many happy memories from my childhood. 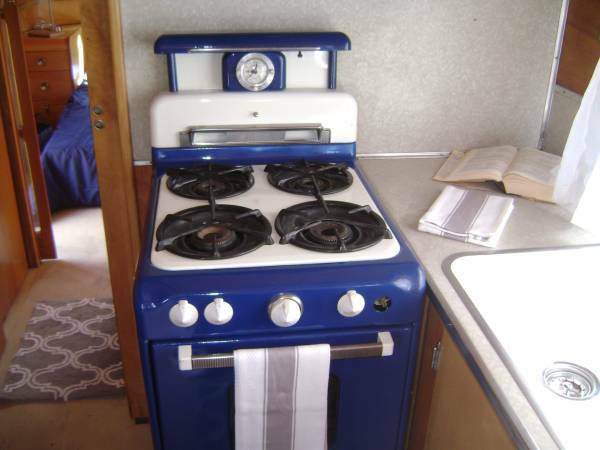 Each trailer has a unique combination of cooking, dining, sleeping, bathing and recreational features and comes equipped with AC and heater, refrigeration, basic cooking supplies and a radio with wireless iPod connectivity. OMG, this is fantastic. I could definitely see myself living in that wonderfully beautiful space. What a find!!! What a grrrrreat job in restoration. Period correct?!?! Love this! Curious as to the inside square footage. Absolutely love this! Beautiful and solid.